This Valentine’s Day, enjoy a super yummy treat with your family! Red Velvet Ice Cream!! I first got inspired and excited about making my own ice cream while at a cooking class with the girls at Sur La Table. You can read about that adventure in one of our earlier posts, Girls Night Cooking Class. 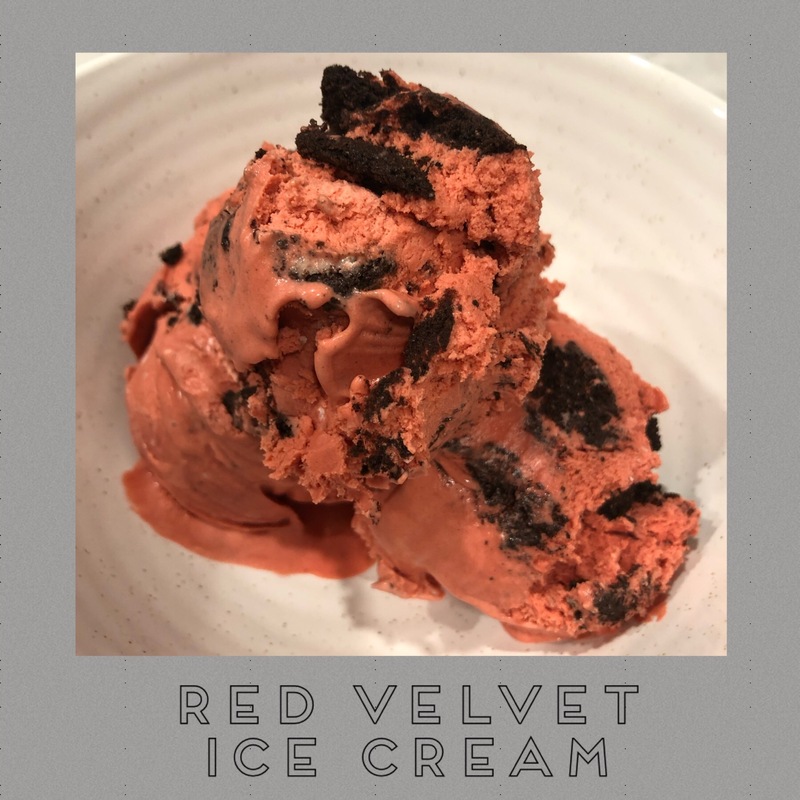 Once I began experimenting with ice cream recipes, red velvet is the one that is constantly requested by my family and friends. 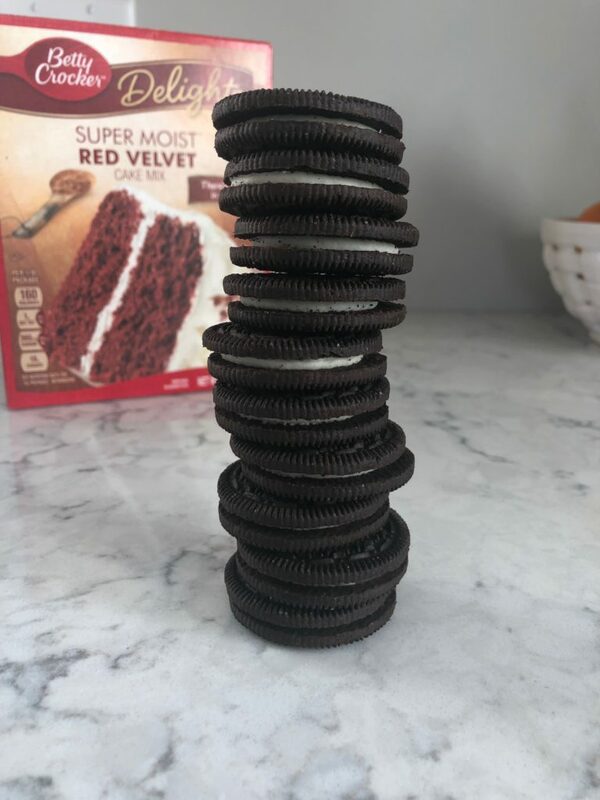 You can make this recipe with whatever dry cake mix that you like but red velvet is definitely my favorite! It is not only delicious, but it looks pretty too. 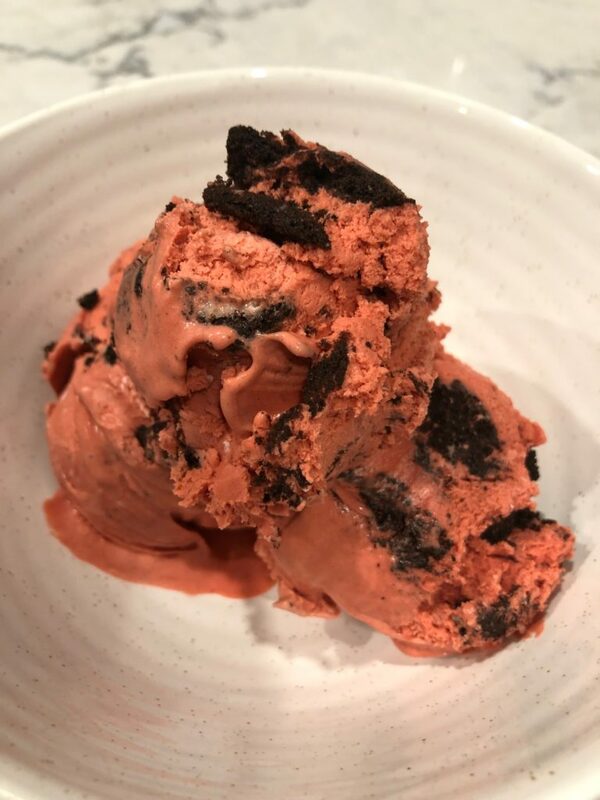 Today, I made the ice cream with Oreos. 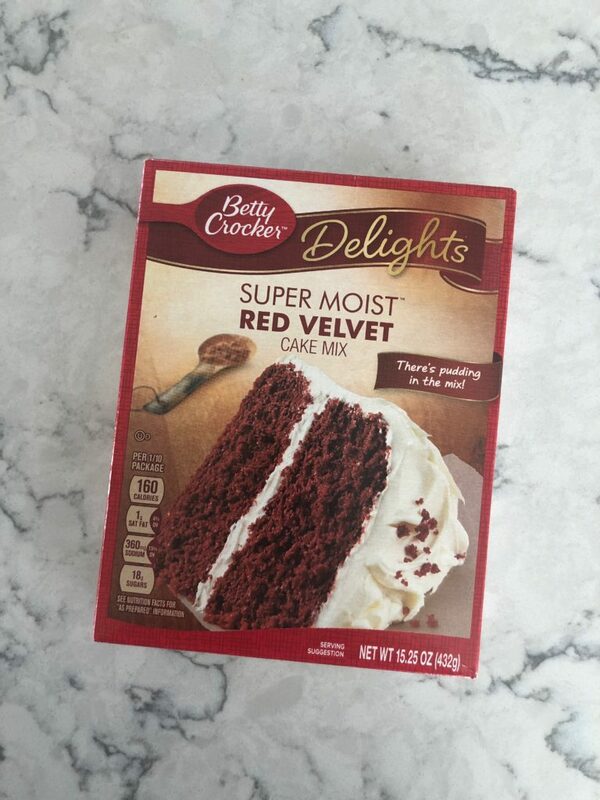 But, brownie chunks are an amazing pairing with red velvet. Really…any type of candy or cake that you prefer will work! Who doesn't love ice cream?! 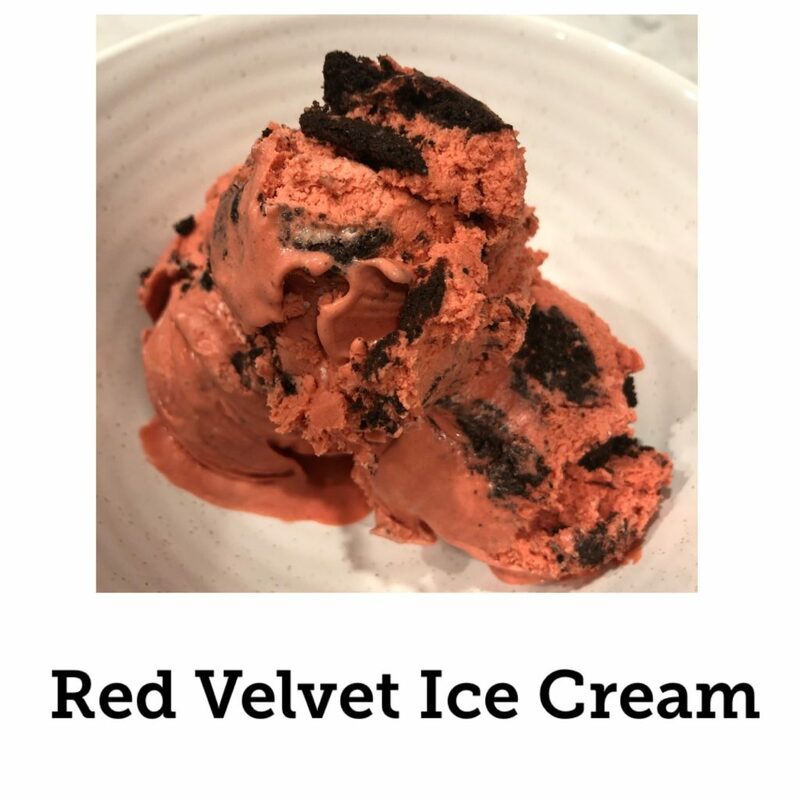 Make some Red Velvet Ice Cream to enjoy with your loved ones this Valentine's Day. It's easier than you think! Add Cake Mix, sugar, salt, Heavy Cream and Half & Half into a medium sized mixing bowl. Mix all the ingredients for 2 minutes. 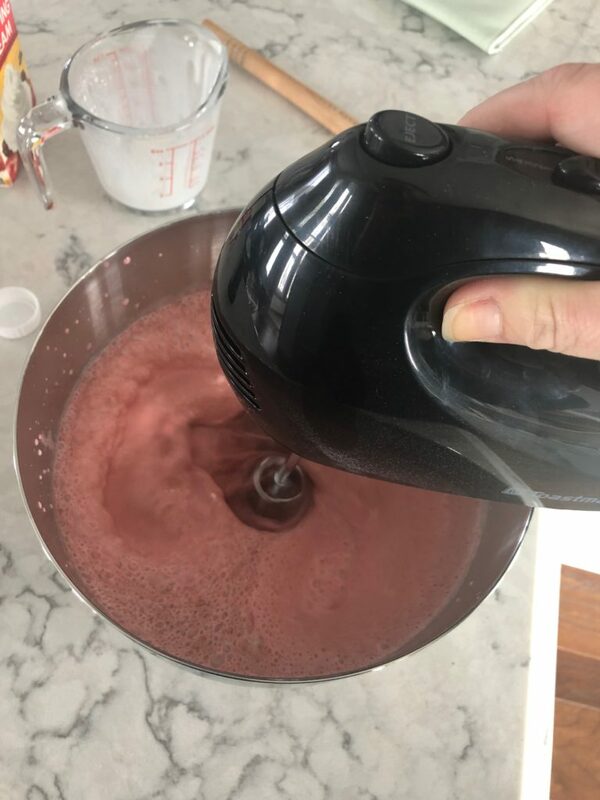 A hand mixer works best. Then, refrigerate for a minimum of 2 hours. I usually let it sit overnight. Pour the mixture into whatever Ice Cream maker that you have. I have a basic Cuisinart model. Let churn for 15-20 minutes. Put 10-15 Oreos in a bag and crush into small pieces. Then, mix them into the ice cream once it is done churning. Pour ice cream into a freezer friendly container and freeze for at least 2 hours before enjoying! This recipe will create 1.5qt of delicious ice cream. Your friends and family will be WOWed by your ice cream making skills! 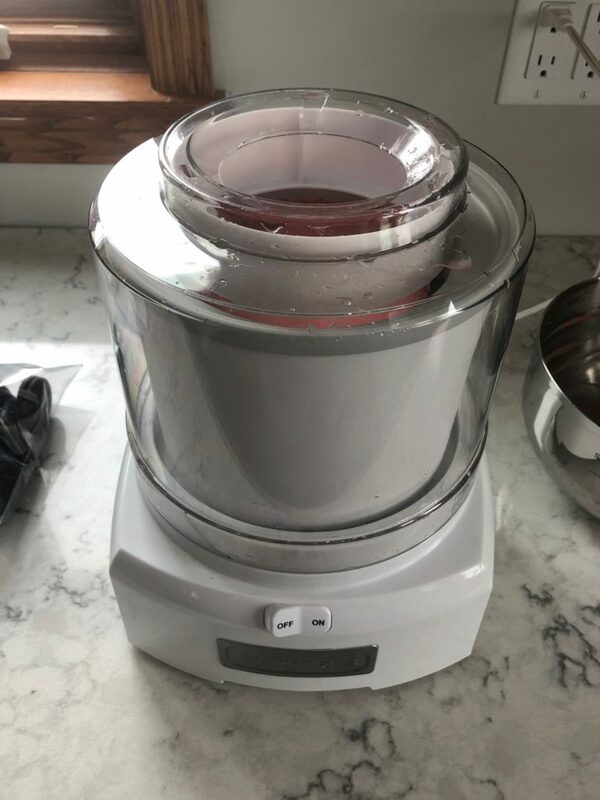 The ice cream maker I use, is a basic Cuisinart model. You can find it on Amazon for roughly $42. Share pictures of your yummy ice cream with us!